Mobile apps are not a “set-and-forget” thing, you don’t just create it, and that’s it! 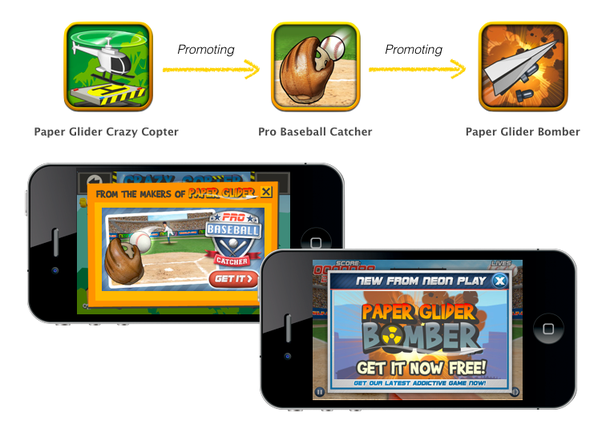 Building the app is your start line; it’s when you start the game. The real case here is to go through all the challenges you face until you reach the finish line successfully, and then go to the next level, so on and so forth. Throughout this guide you are going to learn more about mobile app user journey, how you can trigger them in each phase of this journey, and how to successfully pass each phase till you reach the triumph! Before taking any step forward in the game, you need to study its related facts and figures first. So here we go. Researchers found that “Four out of five smartphone users check their phones within 15 minutes of waking up, and 44% admit to sleeping with their phones beside their bed.” Huge huh? 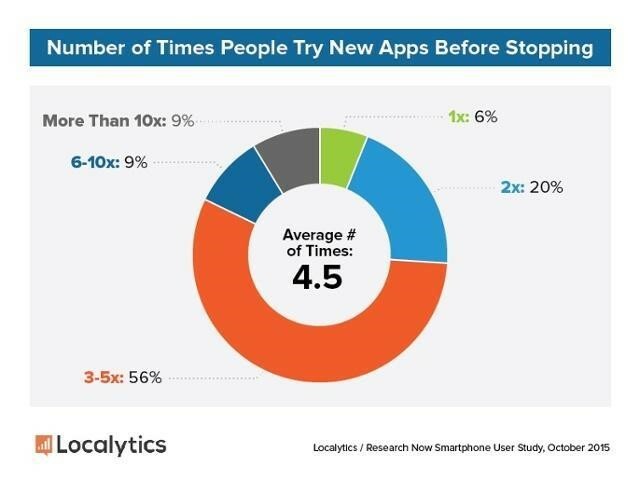 And the ugly truth is that users don’t even spend this time equally between different apps. A mobile app user has an average of 26 apps, but s/he uses only 5 of them for 80% of the time! When you try to introduce a new app, these are your chances. But knowing what your users expected will help a million. using these facts and figures, you can now map most of the challenges you may face and get prepared. Time to learn how to win them all! Your task now is to master every single stage of these; to understand how to encounter each one, to know the best strategies to be used, and to discover the suitable tools to analyze and manage your plan… Let’s dig deeper! Social Media is ranked No.1 channel on the “most effective channels” list for a reason; it’s a magical channel if you just used it right! 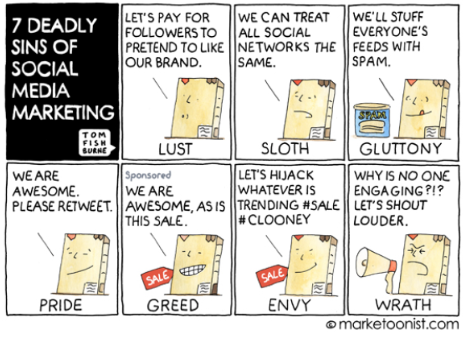 Evolution of social media throughout the years is impressing. Nowadays it is marketers’ no.1 channel to reach and acquire the largest possible base of audiences, and to network with them as well! Interact: think of social media platforms as your online PR. Reply to your audience’s comment or engage them through a game that is related to your app, and most importantly, act like a human being, not like a robot! Collaborate with influencers: Social media influencers are talking marketing by storm, forget the old school strategy of focusing all your budget on paid ads, save some to a right influencer who is in the same field of your app and collaborate to advertise for your mobile app. Hashtags: watch the most used hashtags closely on each platform you are using post regularly on those platforms. Choose what is suitable for you and use them wisely. As for the Don’ts, this chart says it all. 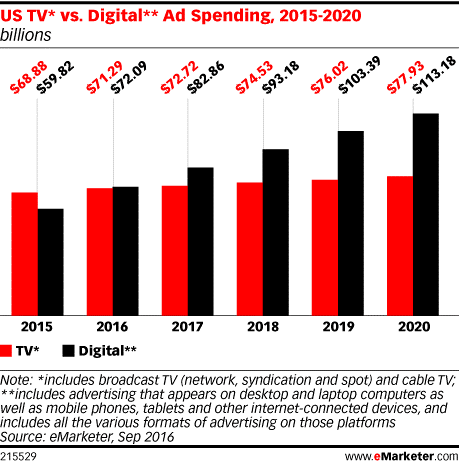 “Digital advertising is not only pulling dollars from traditional media, but it’s also creating new advertising opportunities at the local and national level.” Stated eMarketer forecasting analyst Martín Utreras. According to marketers statistics, “Mobile video consumption is increasing 100% every year, and 30-second mobile video ads have an 88.3% completion rate.”So if you don’t include video ads in your mobile app marketing strategy yet, you need to reconsider! CTA: Never create app video ads without a clear call-to-action! You are here to sell, whether it’s a direct or indirect sales strategy, so always give your audience something to purchase after watching your ad. It could be a subscription, your website link or a landing page. Be Authentic: which app video ads do you remember? The one with a repeated idea or the one that blows your mind with its uniqueness? Before producing the concept written for your app, determine to which of the two above categories does it belong. Tell Stories: You can use your client’s stories, success stories about your app or your app brand story. 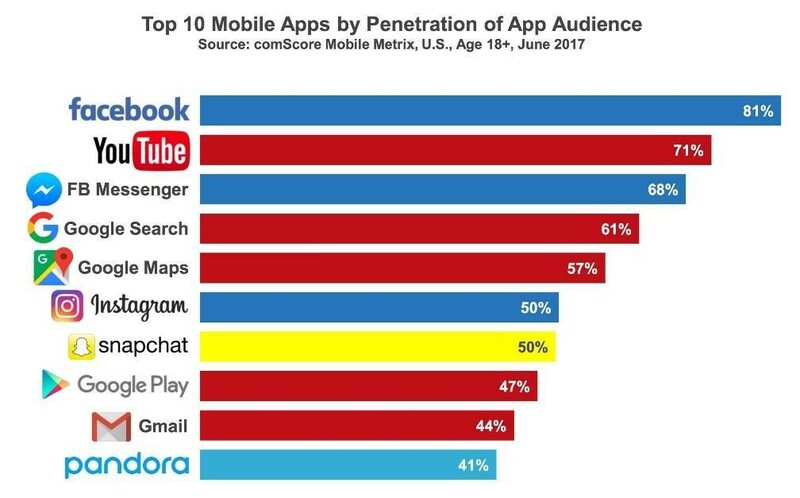 Sharing this with your audiences’ will create more mobile growth and will enhance your mobile app marketing rates. Poor Quality: what is a super creative app video ad with fantastic content but with low quality? Don’t waste your effort by doing a poor quality production. Don’t Be Outdated: don’t use old elements, old ideas or old presentations. We are in a fast growing era where a new trend is being born every day; be up-to-date. Loooong Ad: People have no time, they lose interest quickly. Even if your ad is super attractive, people will not watch an extended advertisement. Mention the most important information about your app in the first 30 seconds and make sure it didn’t exceed a 1-minute maximum. Stated by Forrester, “63% of apps are discovered through app store searches, it is the most used method by users for finding and downloading new apps.” you can’t reach high rates of mobile user acquisition without powerful App Store Optimization strategy, and to be found in the real trick in here, if you manage to utilize ASO discovery strategies, then you got the key to win the game. Stuffed Title: Your title should achieve the heaviest search traffic, insert your most discoverable keywords in your title. But make sure you are not overdoing it and that your title is still attractive enough. Analysis: Always keep an eye on your app store analytics. Frequently analysis your mobile growth insights and outcome, analysis your competitor’s activities, analysis your benchmark’s latest strategies. That will always keep you on the right track. Generac Keywords: inserting Generac keywords will lower your discoverability chances and will not allow your app to be rated as it should be. Always go for specific keywords that relate the most to your app. Vague App Description: do not waste your description space in writing something vague about what your app is offering. Your mobile app content description reflects your identity. So make it clear, straight to the point, catchy and informative. Although social media is on the head of the list of the most effective user acquisition channels, It is very costly. 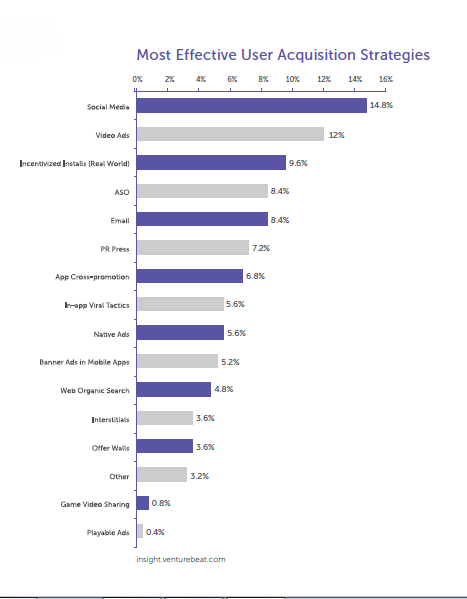 Using social media for mobile user acquisition in the U.S. costs $2.32 per install! So an alternative to that is using an email, app cross-promotion, and organic web search. They are less costly user acquisition channels; when using the three of them together, you will gather more user growth rates than what social media can generate (20% of effectiveness user growth rate to be precise), Let’s dive into this great mobile user acquisition strategy. Most of us neglect using email marketing as a major mobile app user acquisition channel, believing that it is not that effective. But you know what? 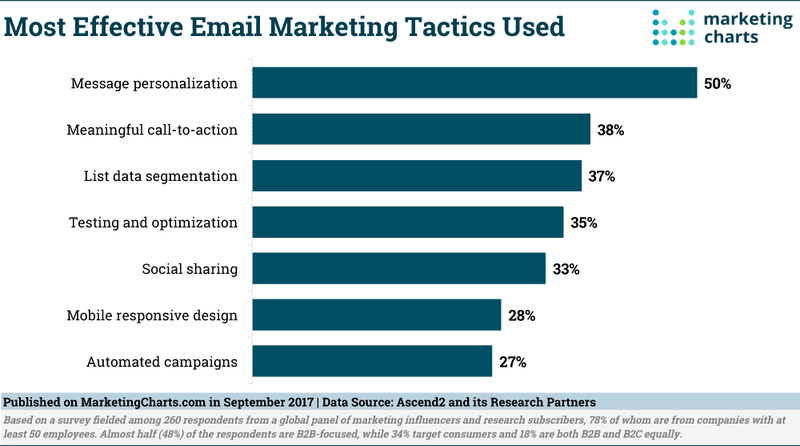 Emails are the most accessible channel in the workplace that can bring you huge user growth rates with an average cost per install … and effectiveness rate 8.4%! Plus it the cheapest of them all. All that you need to do here is to create an email campaign that is attractive enough for users to purchase. 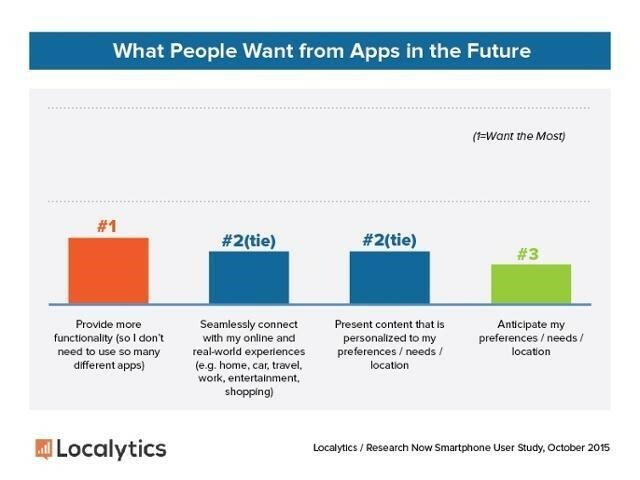 For that purpose, you will find below chart with the top tips concerning mobile app marketing tactics when using emails to acquire users, followed by our do and don’t. Leave a good first impression: user’s email inbox is stuffed with lots of advertisements and pitching mails where everybody is trying to sell them something. So you need to create an email template that can stand out. How? First of all, you need to use a very attractive subject for your email marketing campaign – that is not cheesy. Example: it’s the new year, and your app is offering a sort of celebration to generate more user growth rates. Instead of a “happy new year” kind of a subject, what about using “wait for a second! 2017 is not over yet”? You will need to take a good care of your email body. Hint: An attractive, up-to-date design with short yet informative one paragraph following with bullet points and a call to action is more than perfect. False promises: it’s not about how attractive the subject or CTA teaser of your email is, it’s all about how much they are trustworthy! Hint: don’t just type an email title or a teaser where you are promising your app users with the biggest hits in the market when they download your musical app and then disappoint them with very typical old albums! if you aim for boosting your mobile app user acquisition rates, you will need to keep your promises! “The power of collaboration” this is exactly what is being utilized in here! App cross promotions are all about two or more apps/platforms that collaborate together in promoting and selling each other’s products. What makes it one of the cheapest mobile app user acquisition channels is that instead of paying you to go for an exchange. You can exchange the audience, functions, and networks. Moreover, it brings you organic reach. So, for this time, we will replace the do and don’t with the app cross-promotion types. Me-Me Cross Promotions: It’s when you use your own multi apps to sell for one another. Just like the below example, many companies own more than one app and the smartest mobile app marketing strategy for those companies to do is to cross-promoting them all. Me-Others Cross Promotions: On the contrary, Me-Others cross-promotions is when you collaborate with other parties to multi generate higher mobile app user acquisition rates. That other party could be a competitor, or it could be in a totally different zone. 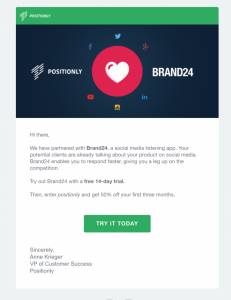 Example: Cross promotion campaign was done by Positionly and Brand24, The first is an SEO tool and the second one is a tool for monitoring performance over the web. They collaborate together and came up with the following newsletter. 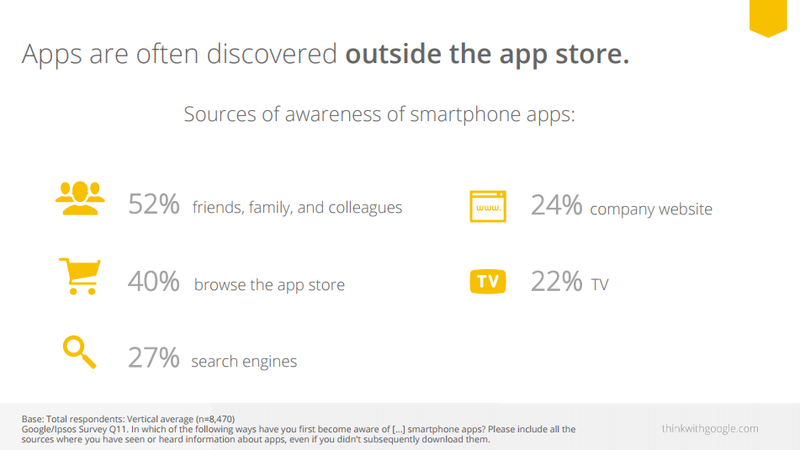 According to Google reports, you have 27% of your total app users who discovered your app through search engines. Accordingly, knowing that the acquiring process is likely to be done away from the app store, your mobile app marketing strategy should pay special attention to organic web search. Nowadays it’s no more about how strong your ASO mobile app user acquisition strategy is, it’s more into your SEO strategy as well. SEO tips are somehow similar to ASO ones. So, besides taking care of the keywords, app title, description and so on, there are some extra tips and tools for organic web search. Cross promote your download URL, or you can add it in your own app website header. Bear in mind that the more qualified and trusted links used for a given URL, the more ranks this URL will get and accordingly and the better positioning it will have. Make sure that your app deep linking is friendly regarding both ios and android systems. ASO and SEO are not that similar: yes ASO and SEO guidelines are somehow similar, but not all the way long! For instance, when users search on an app store, they tend to search with very short inquiries such as app category or name. But when it comes to search engine, users use longer phrases, such as questions or conversational inquiries or even use voice search through Apple Siri or others. So when it comes to choosing keywords to get discovered you need to be aware that app store users search behavior is different from that of the search engine. 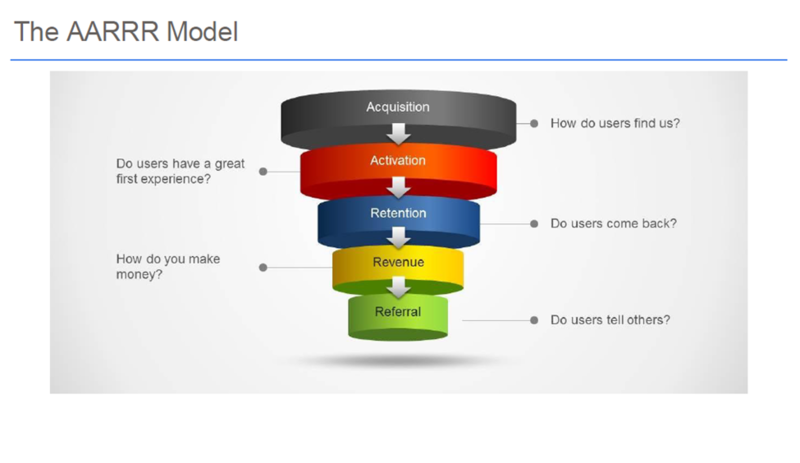 And that was our follow-stop for the first pillar of the AARRR model; mobile user acquisition. Now you know where to find your audience, what the channels to acquire them, what is costly and what is less costly, what mobile app marketing strategies to encounter and what not to, and finally a collection of helpful tools that will definitely help you! Moving to our second pillar; Activation. wait for appgain.io step-by-step mobile app marketing guide to acquire, engage and retain users – part 2.